over the way it portrayed demonstrators and police officers. “Pepsi was trying to project a global message of unity, peace and understanding. Clearly we missed the mark, and we apologise,” the company said in a tweet. “We also apologise for putting Kendall Jenner in this position,” the company concluded. 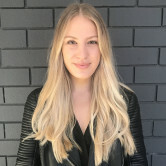 The ad faced near-immediate criticism over its portrayal of police protests in a political climate where issues surround Black Lives Matter and equality are swelling. 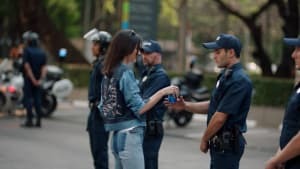 In the ad, Jenner walks through a crowd to hand an officer a can of Pepsi, which results in the officer cracking a smile and the crowd cheering her on. The scene has been likened to the iconic photo of Black Lives Matter protester Ieshia Evans being arrested. Prior to Pepsi announcing that it had decided to pull the ad, Bernice King, daughter of Martin Luther King Jr, took to social media to express her distaste for the campaign. “If only Daddy would have known about the power of #Pepsi,” she said. Others slated the ad as the "worst ad ever" and "tone-deaf, shallow and over produced". Pepsi has apologised for its advertisement featuring Kendall Jenner at a political protest and has now pulled the video following major social media backlash over the way it portrayed demonstrators and police officers.